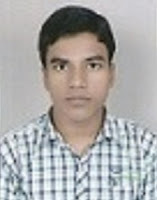 Shivnath Kumar Sharma is presently pursuing his Ph.D in Contemporary Indian Fiction from Department of English, Pondicherry Central University, Puducherry. He did his Master of Arts in English Literature from Department of English, Banaras Hindu University, Varanasi, Uttar Pradesh. He qualified CBSE- UGC NET in April 2016. He has five publications in his credit and has presented research papers in National and International conferences. He is interested in American and British Literature, Linguistics and Translation from Hindi to English or vice-versa.